We love our students! Here at Xenon Academy, we love that learning is near and dear to the hearts of all of our students and staff. Education is a personal journey, and it’s one that requires a support system. To strengthen our ties with our current and past students, we wanted to start highlighting people who we think have gone above and beyond the expectations for any esthetician or cosmetologist. Our very first feature in an alumnas from a few years back who is making waves in her local beauty community. Please celebrate join us in celebrating Ms.Kylie McGowan! Though she was happy with her experience, she felt that she could flourish further with additional education. She had a love for skin care. So she made the decision to attend Xenon Academy again! This time she enrolled in our esthetics program. 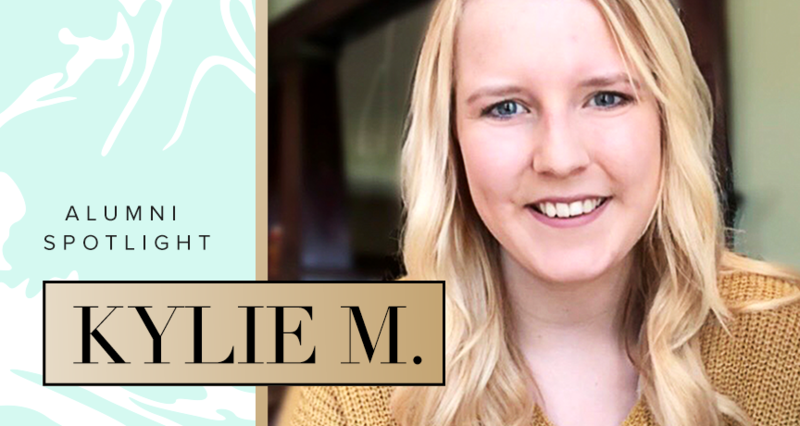 After graduating in May of 2017 with an additional education in skin care, Kylie decided to return to The Personal Touch. We asked Kylie why she chose to learn with Xenon Academy not once but twice! Kylie started her journey with Xenon Academy with one little supporter by her side: her two year old son. Our campus proximity was important to her. She wanted a place where she could go and better herself for her and her son’s futures, but she also wanted a place that she could stay near her loved ones. We asked her to share her experience of coming in for a tour and the process of choosing a beauty school. Kylie learned a lot in her years of working at The Personal Touch, but she knew that she needed something more. She had always been a risk-taker, and she wanted to do something crazy. Kylie decided to open her own salon in York. Impulse Studio is now her love, passion, and driving force to continue to improve herself. You can tell by Kylie’s drive, personality, and love of beauty that she was meant to do great things. If you find yourself saying the same things, dreaming the same dreams, and working as hard as Kylie, you might find a future in beauty! Kylie shared with us that it is now her dream to expand her salon over time. We think it was an admirable goal to launch her own salon so early in her career, and it’s even more impressive to want to go bigger and better! There are so many reasons to pursue a future in beauty. Whether you love helping others or you’ve always had a comb in your hand, hair, skin, and makeup might be your perfect match. We asked Kylie to share her reasoning behind pursuing a future in the beauty industry. Many students love the flexibility and creativity that a career as a cosmetologist brings. Another common favorite is working with people. With every new face in the salon comes a new story. It’s something that we find interesting and intriguing about the industry, too! Our love of helping others is what makes Xenon Academy a great place to hone your skills and learn to love your future career! You can catch Kylie in the local spotlight! Check out her feature on the York News Times. We asked Kylie to share advice to students who want to open their own salons in the future. If you want to add to your educational skill set, or start one, contact Xenon Academy today! We would love to be the school that helps you launch your dreams! To keep up with Kylie, check out her Facebook and Instagram profiles.